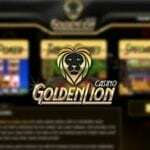 A lot of online banking options are offered at the Cherry Gold casino for players to use in making withdrawals. Below is a list of all the banking options available, minimum and maximum amount that can be transacted and the transaction time attached. $2000 1 p/week Payments processed within 3-7 business days, (Monday through Friday). 2000 1 p/week Payments processed within 3-7 business days, (Monday through Friday). $2000 1 p/week Payments processed within 3-7 business days, (Monday through Friday). SWIFT code for your bank is mandatory, we cannot process bank wires to 3rd party banks. To finalise withdrawals, you must ensure that you send in your personal information to the gaming portal for them to use in verifying your identity. Some of the identification documents that are acceptable are; A Photograph showing you holding your ID card, Government issued ID, International passport, a utility bill showing your address etc. 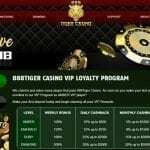 After making deposits, ensure that you verify the transaction option you use in making the deposit to the casino via the support team provided. note that if while making use of the gaming site, you can rest assured that any transaction issue you run into would be resolved in good time in as far as you report the problem to the support service provided.